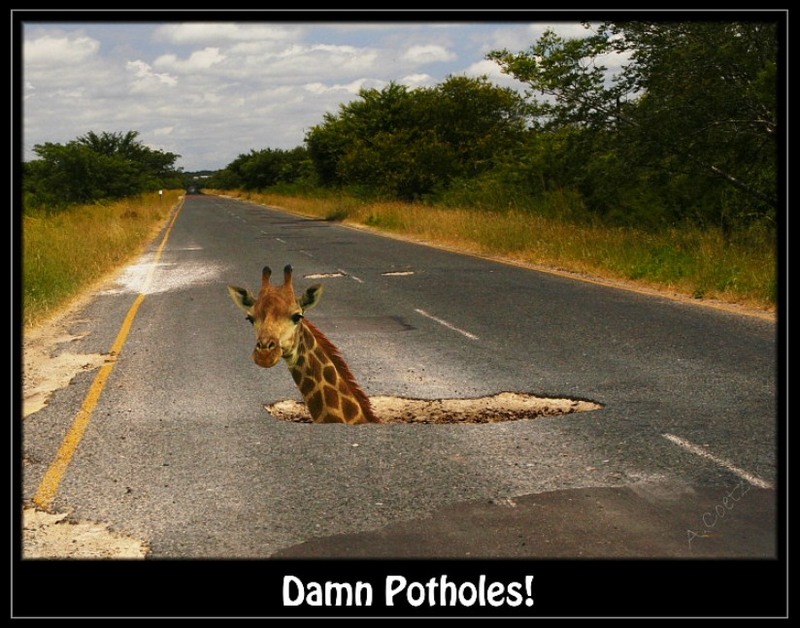 Snow and Rain and Potholes, oh my! So after seven months of snow and blizzards, here we are, spring in Syracuse. The snow has finally melted and the rain keeps coming. After the toll the elements have taken, it’s understandable that there are potholes on the city streets… but by mid-May, they should be filled. At the bottom of the Harrison Street hill, between Irving and Almond/I-81, where there is arguably the most traveled stretch of city streets, the potholes are inexcusable. The city claims its out there working, but I’ve seen little progress, especially in these high volume areas. On a sunny day just a few weeks ago, going about 20mph, I got a flat tire from simply driving down the street. This is unacceptable. Where are all those tax dollars going? When the snow melts, those holes should be fixed! Perhaps it’s because the hospital is around the corner the city isn’t concerned with rush hour traffic accidents, but if those holes get any bigger, we’ll be loosing cars to China! I could not agree more! 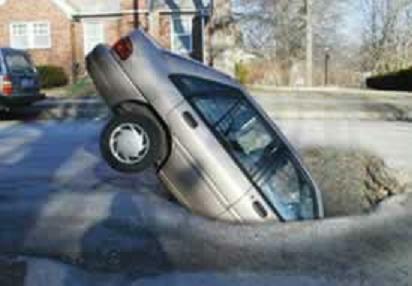 There is nothing worse than traveling on the same road daily and having to swerve to avoid a massive hole in the ground. While potholes are not that easy to fix, I still agree that they should at least be filled for the time-being until the city can adequately repave the road. Nice pictures and the right demand from the authorities in an interesting way.